When Old Delhi comes calling one has to oblige. 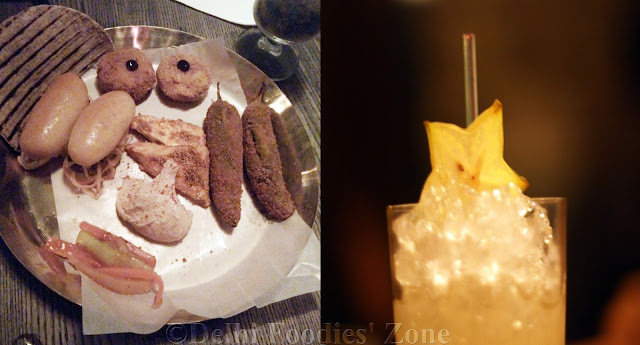 Having heard of the feasts put together by the Jalalis and experienced one herself, Skeeter met the Jalalis one on one over a lunch table hosted by them at at Le Meridien, Gurgaon. And it couldn’t have been better! Osama Jalali, a food writer has curated the dining experience and the meals are prepared by his mother Nazish Jalali & wife Nazia Khan. What one gets to sample is the kind of food that is found in the homes of Old Delhi or Shahjahanabad. 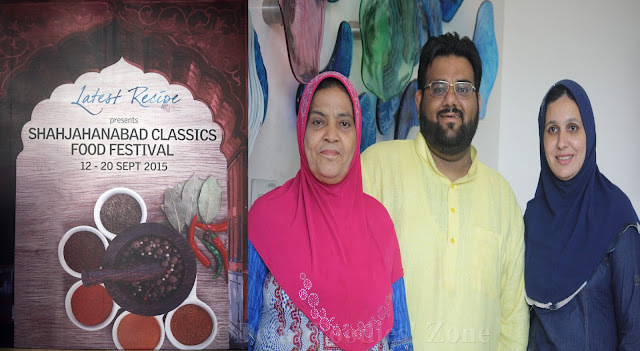 Nazish Jalali or Ammi as she is fondly called is a passionate cook who learnt her craft from the khansamas of the nawab of Rampur before she got married and came to Shahjahanabad, where she added more recipes to her repertoire. Emperors Aurangzeb was a vegetarian, Humayun turned vegetarian even if briefly and Akbar was vegetarian towards the latter half of his life. This did not mean they lost on sampling the best flavours that the khansamas had on offer. There were vegetarian delicacies prepared to pamper these emperors. Some of the recipes may have been lost in time, yet others live to tell a tale. These Mughlai recipes by the Jalalis are showcased at food festivals across prominent hotels time and again. This time round the focus was on some interesting vegetarian ones. The first of these was a very flavourful Kathal ki Galouti. Skeeter has sampled unusual preparations of Jackfruit but this one outshone them all. Steamed and boiled jackfruit is mixed with lentils and whole spices for a well-textured, sublime galouti. 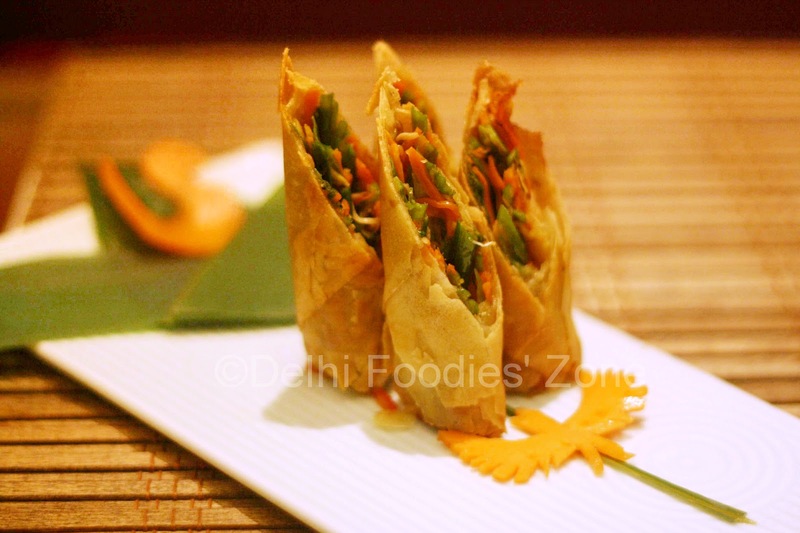 French beans ki Shammi appeared next. Again, a well-made, melt in the mouth preparation, which forces the French beans out of their stir-fry, sabzi, pulao and other avtars. And the third stellar appetizer of the day was a daliya ki tikki. Yes, there’s more to daliya than light/diet food. For the mains we sampled sookhi Urad dal, both black and yellow; the recipes of which come from the kitchen of the Nawab of Rampur. These were very simple preparations that were fluffy and flavourful. 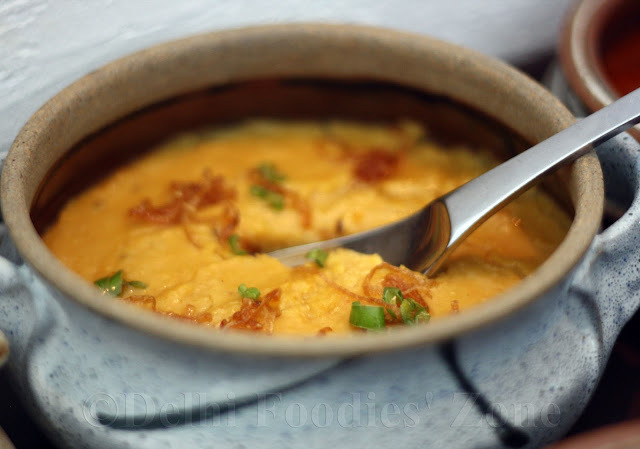 A robust Mughlai paneer preparation made in a yoghurt gravy had Skeeter hooked onto the curry. An earthy and dense preparation of Chana dal bharta (mashed lentils) was rich in texture and chopped green chillies complemented it well. Osama calls it desi hummus and well, why not?! All these were served with a rustic Khamiri Roti or yeasted flatbread and a mildly sweet Sheermal which is saffron-flavoured, leavened bread. Both are usually paired with greasy non-vegetarian curries in the bylanes of Old Delhi. There was Vegetarian Biryani too! It looked simple but was a pot of myriad flavours. 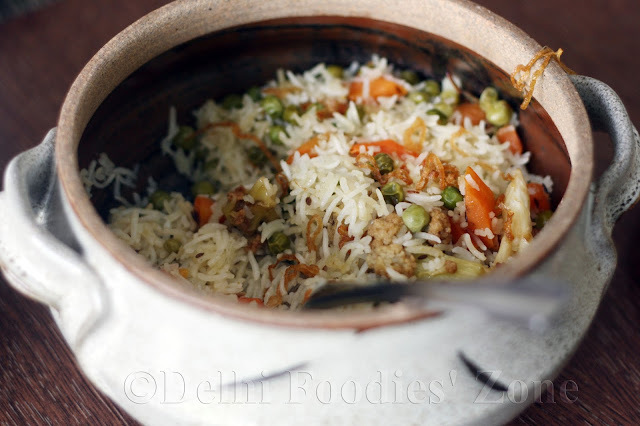 The rice were aromatic as they soaked flavour from the whole spices and each vegetable lent a layer of its flavour to the dish. 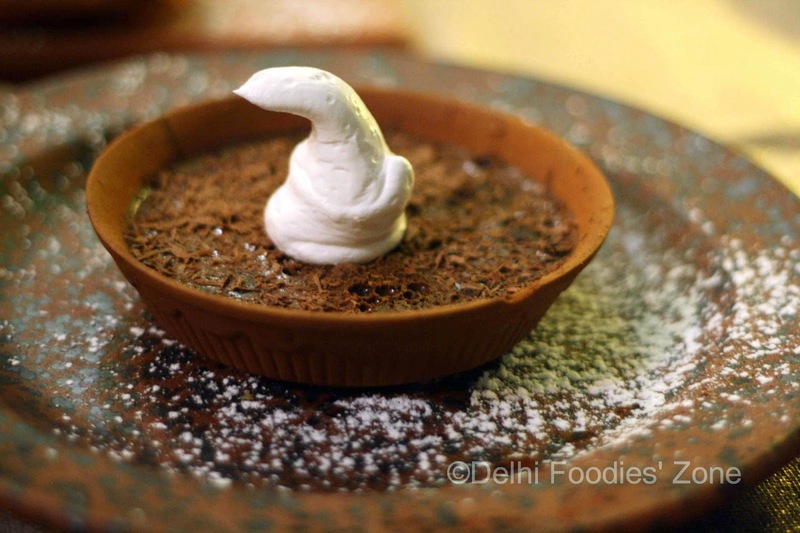 After being overwhelmed by the appetizers and the mains, it was time to be besotted by dessert. 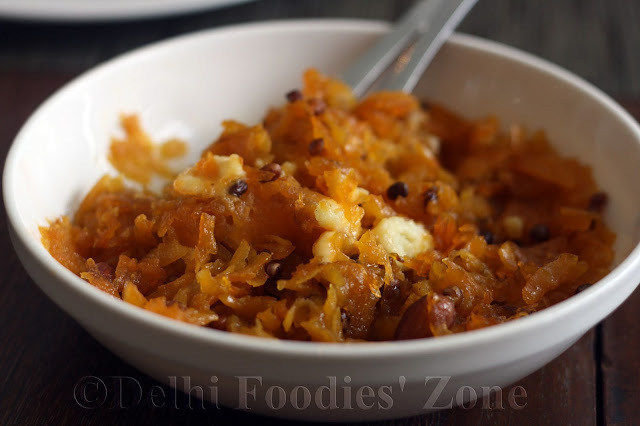 Aloo ka Zarda, made with shredded potatoes, saffron and sugar was sampled for the first time. It was sprinkled with chironji. Skeeter was looking forward to this one but was underwhelmed by the taste. Maybe she needs to get used to the idea of having spuds for dessert? The Shahi Tukda, which was not liked by some on the table, made Skeeter quite happy. Those who didn’t like this version prefer crispy bread against the soft one which was served. The Gulathi, which was somewhat like a phirni, was the best dessert of the three. It is made by reducing milk in dry fruits and made a fitting end to a sumptuous feast. Kashmiri spread reminds Skeeter of Haak/Haaq that she makes at home, of Rajma that the relatives generously share on their trips back from Jammu, of Kehwa (Kahwa) that she loves brewing at home. 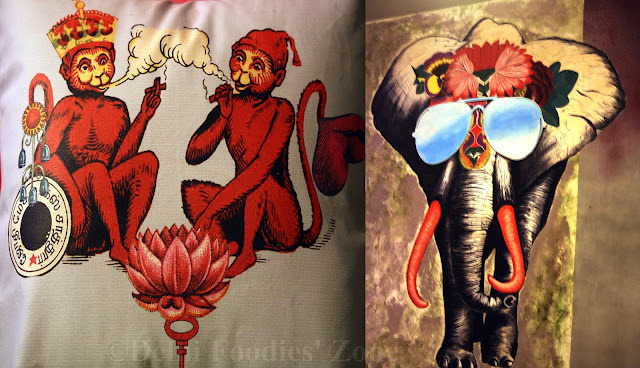 Chor Bizarre reminds Skeeter of all these and more. 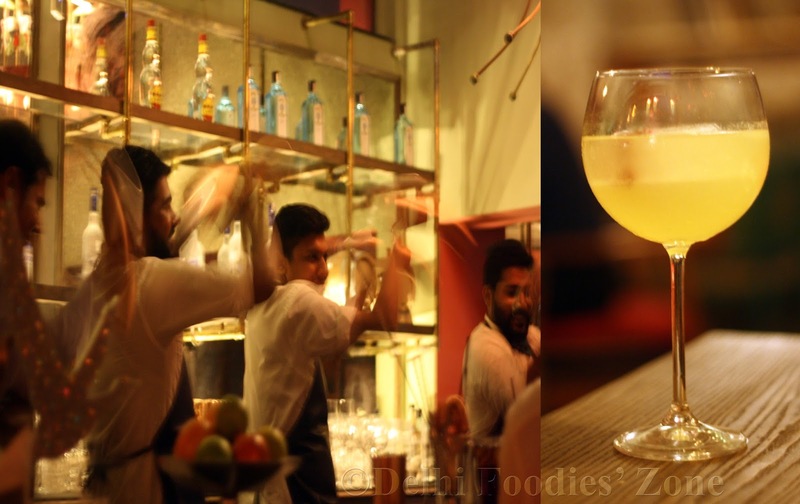 When CP was the hub of all good restaurants and malls hadn’t made a debut, Chor Bizarre at Daryaganj was buzzing with activity, enthralling expats and Indians alike. Skeeter still gets nostalgic about their salad cart set amidst a vintage car. 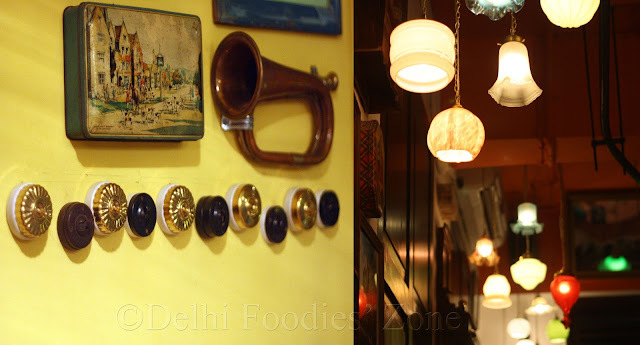 At Chor Bizarre (literally meaning thieves’ market), no cutlery is alike and the decor is a mismatch. Yet, it all comes so beautifully together. There may be restaurants serving better Kashmiri fare, but Chor Bizarre stands tall. It has stood for 25 years to tell its tale and even gone international (they are now in London). 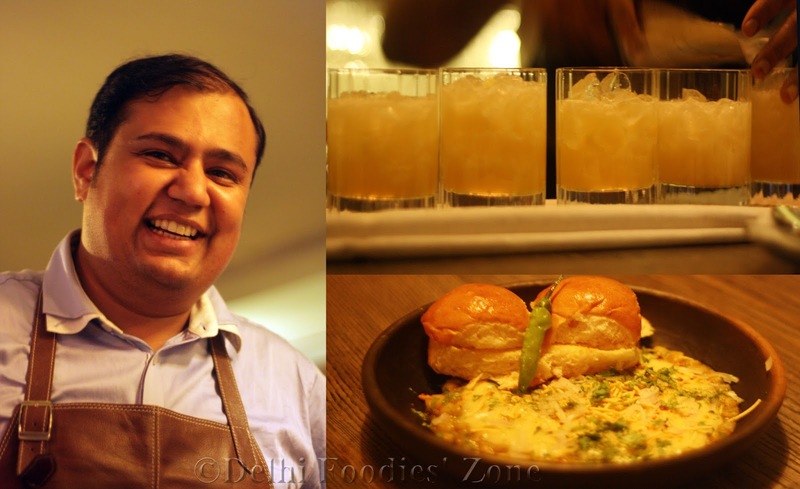 As they celebrate 25 years of serving Delhi, a selection of Chor Bizarre signature dishes can be sampled at Drift, Epicentre, Gurgaon where they have appeared in a pop-up format. 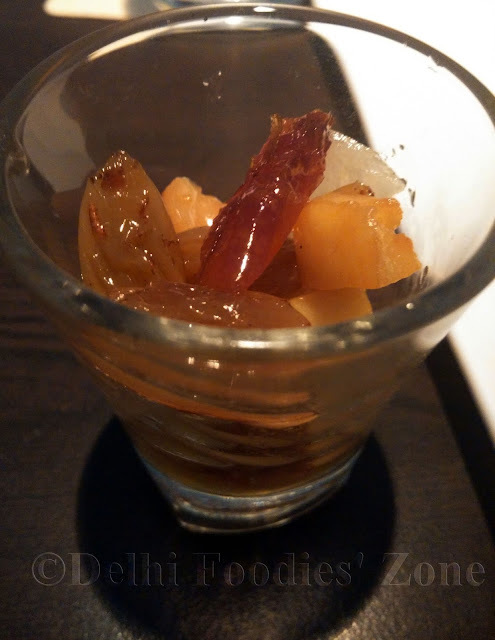 Chor Bizarre serves dishes from other parts of the country too, but on the day Skeeter was invited they were showcasing Kashmiri fare apart from few starters. We started with the Kurkuri Makkai and Dahi ke Kebab. 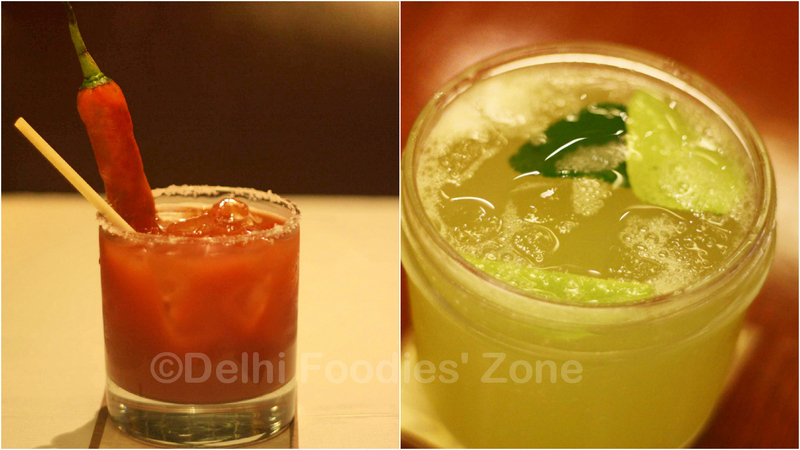 Both reiterated that Indian food isn’t all about lots of spices. 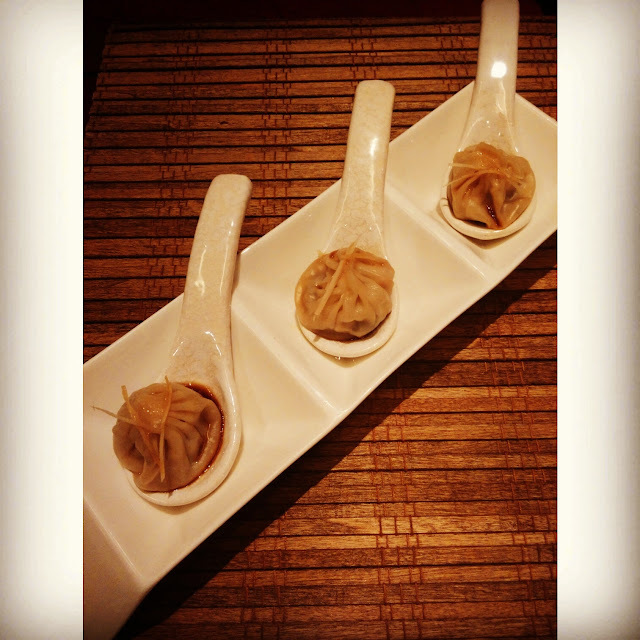 The Kurkuri Makkai was extra crunchy on the outside and soft inside, making a perfect match. Dahi ke Kebab were subtle and flavourful. 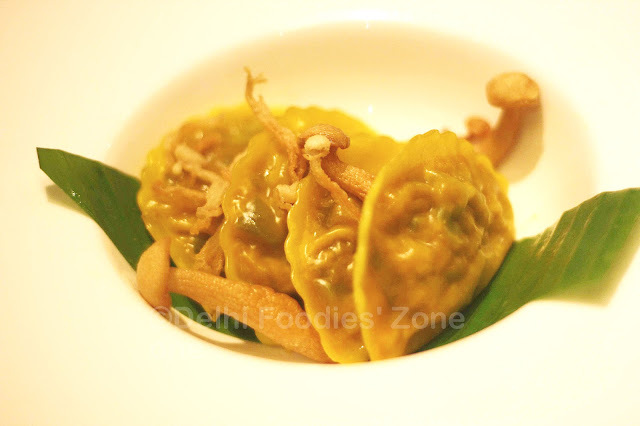 Nadru or lotus stem chips coated with a little spice and served with muj chatin that were a showstopper. Muj Chatin is a condiment made with grated radishes tossed in greek yoghurt, chopped green chillies, salt and sprinkled with walnuts. The two make an awesome pair. This was followed by a lavish Wazwan (multi-course meal served during Kashmiri weddings) served in a Tarami (an embossed Kashmiri Thali). 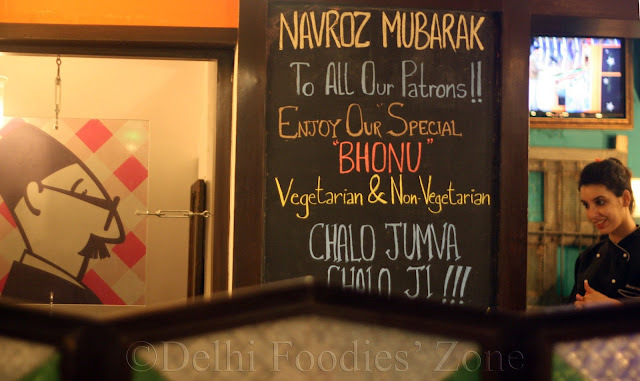 Of course the non-veg Wazwan is what people make a beeline for, the vegetarian one that Skeeter sampled was equally good. Tamatar Chaaman, Dum Aloo, Khatte Baingan, Nadru Yakhni, Haaq, Rajmah, Mooli Akhrot Ki Chutney & Laal Pyaaz were served on a bed of rice. The highlights for Skeeter were the Dum Aloo pricked a 100 times, deep fried and then, cooked in a spicy gravy. The Rajmah were unputdownable and the Haaq was flavourful with a bite, just the way it should be. The meal ended with Shufta and Phirni followed by Kehwa. 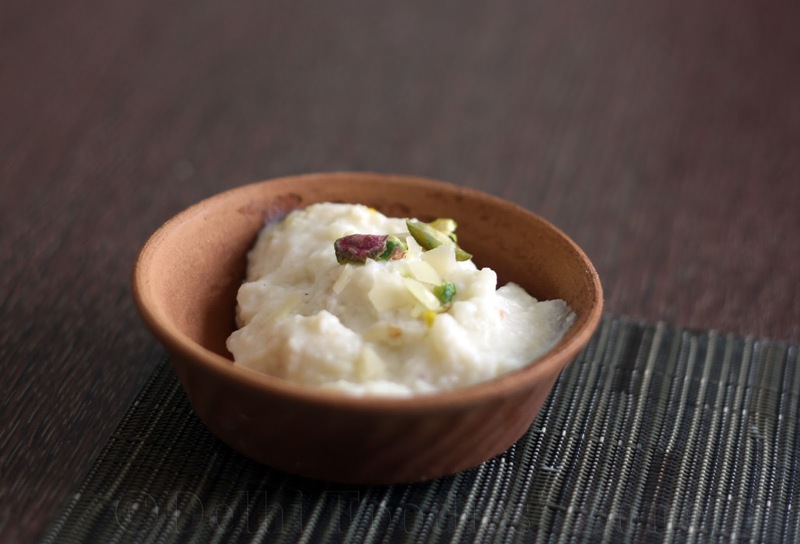 Phirni is the Kashmiri take on kheer. 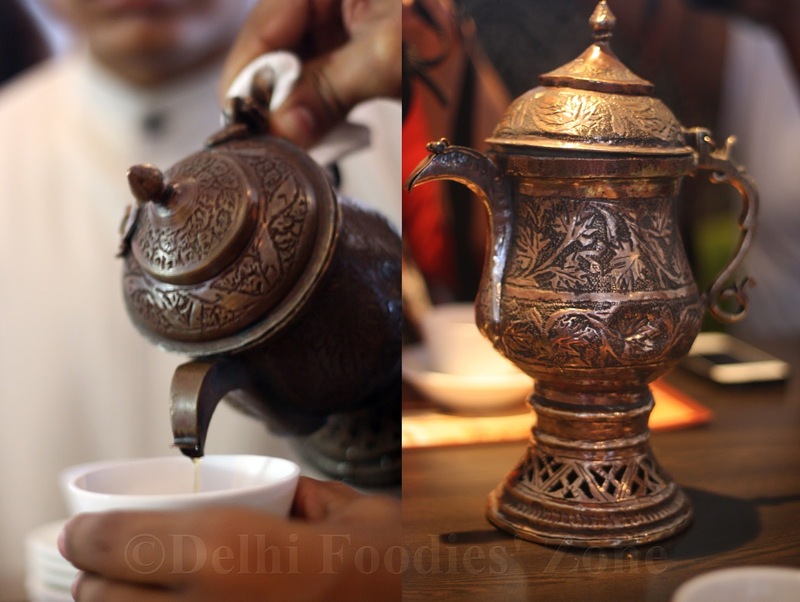 Kehwa is a warming brew made with green tea leaves, sliced almonds and some spices. It is traditionally brewed in a Samovar. The Shufta is something Skeeter tasted for the first time. 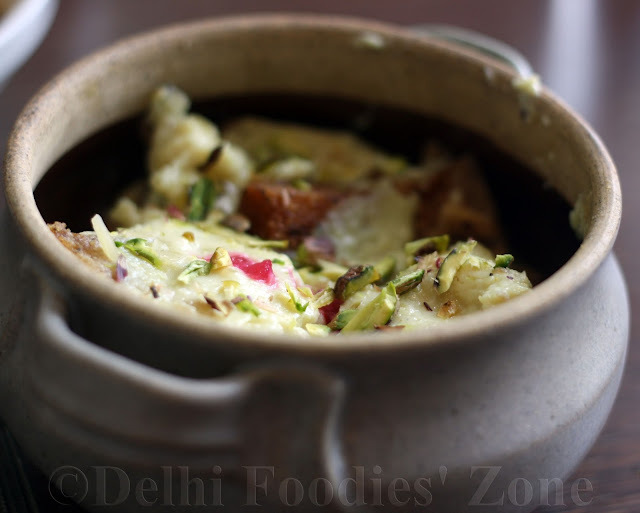 Shufta is a dessert made with nuts tossed in a sugary saffron syrup and has a hint of cardamom. It provides much needed heat to the body in the cold climes of Kashmir. Delhi could borrow it too, for its harsh winters or whatever is left of them. 2015 is Skeeter’s year to discover new food, chart culinary territories and eat the best grub on offer. 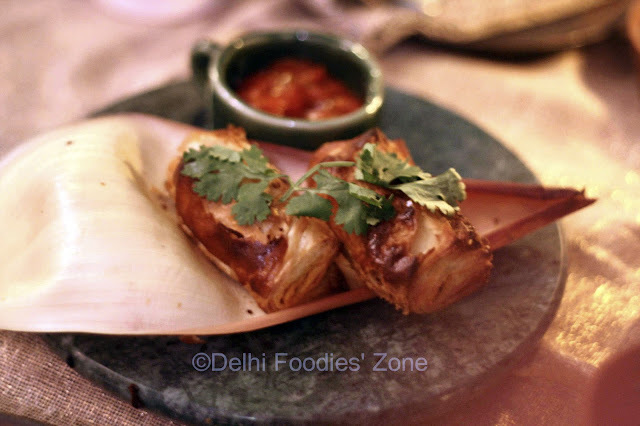 In her quest for new food, she ended up sampling Armenian food with a Bengali twist presented by Chef Sabyasachi Gorai at a preview dinner at his restaurant Lavaash by Saby (Ambawatta Complex, Mehrauli). A chance discovery of an old grave picture led Chef Saby to reconnect with his childhood spent in Asansol (in West Bengal) that bore touches of Armeninan culture and food. Asansol was an Armenian colony some 200 years back. Chef Saby tells that the Asansol hood was named after Armenian families: Apkar Gardens, Agabeg bridge, Evelyn Lodge. 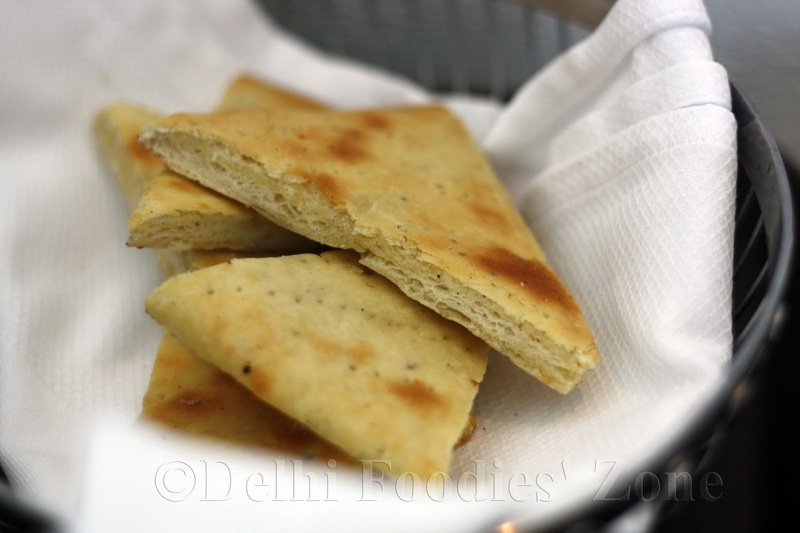 More importantly, the Armenians gave to India, the tolmas, the tonir (tandoor, which is still widely used in India), the Lavash (an unleavened bread), paneer, curd among others. Chef Saby calls his offering the A-cuisine. Lavaash by Saby bears Armenian motifs across its interiors. 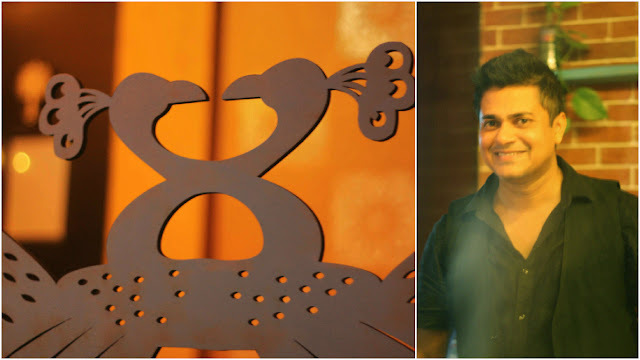 Viplov Singh and Svabhu Kohli have given shape to the initial moodboard of the place made by Chef Megha Kohli and Chef Saby. Skeeter visited the restaurant at night, but is sure it looks dreamy and romantic during the day. 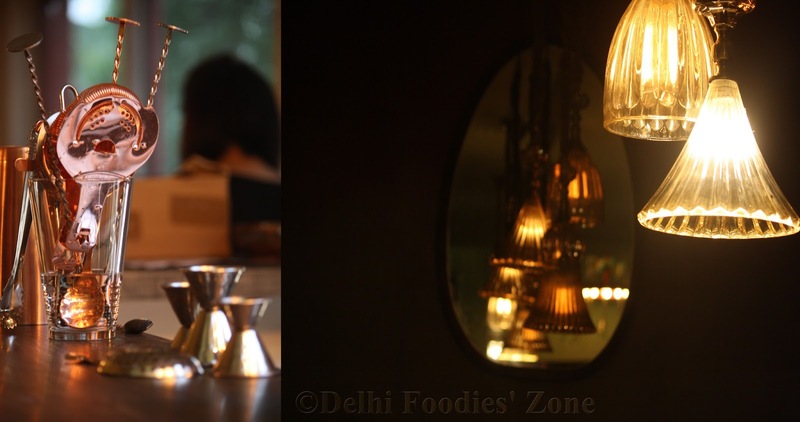 With a beautifully done terrace dining space, Lavaash by Saby is bound to be a hotspot this winter. The food on offer is new, but not alien. You get the basic (yet most delicious) Claypot bread with a generous dollop of butter and scatter of chironji seeds. It is Saby’s version of Matnakash, an Armenian bread. It is called so, as the bakers fingermarks are imprinted on the bread before putting it in the oven. 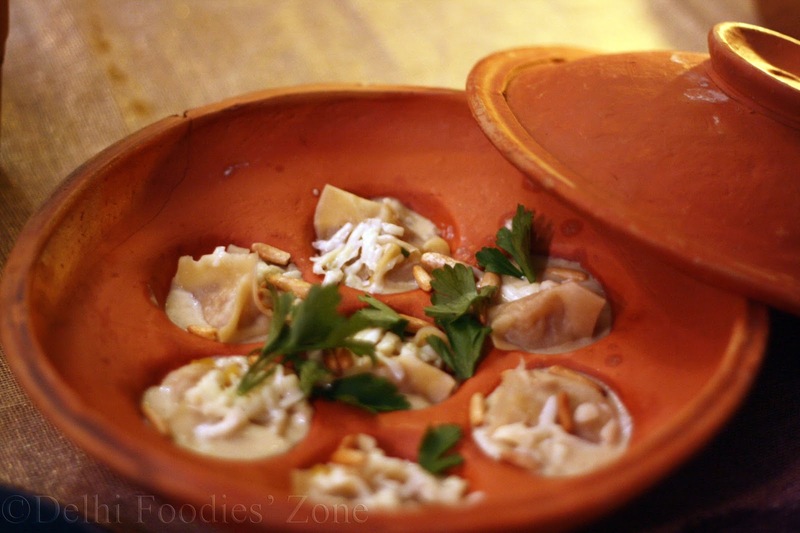 Along with this bread, you sample the most divine Pumpkin Manti (Armenian ravioli) cooked and served in a clay vessel and scattered with pine nuts. 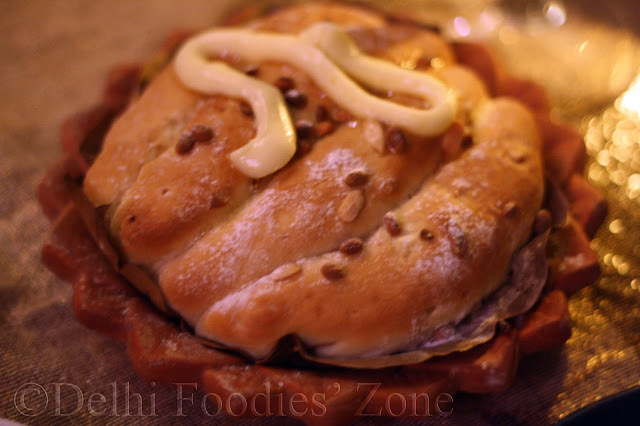 The outer wrapping has a soft, crusty rumali kind of texture and the filling of sweet pumpkin with walnuts, yoghurt sauce and cheese melts in the mouth. The use of nuts characterizes Armenian food which they use for texture as well as nutrition. Skeeter cannot wait to try the Mushroom Manti on her next visit. The baked Mochar Puff filled with a fragrant banana blossom and potato mash and served with a tomato relish is your everyday Bengali household grub revamped and how! This simple twist will leave the Bengali bhadralok craving for more. 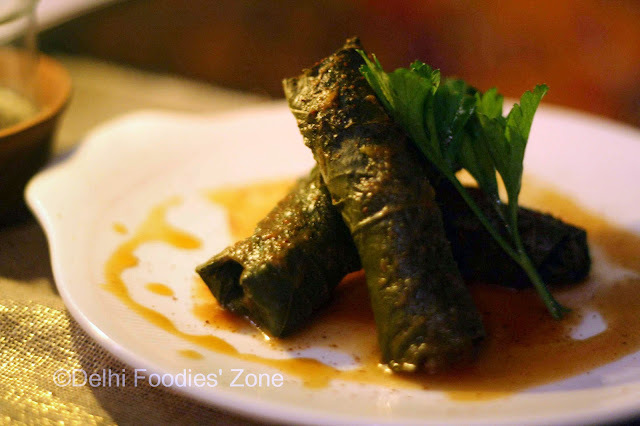 The Rice Tolma (as opposed to the mideastern Dolma) are grape leaves stuffed with rice, peas, saffron, coriander, mint and melted butter. Dumplings and stews also feature in Armenian cuisine. The Panir and spinach kofte at Lavaash by Saby are the most delicious version of cottage cheese Skeeter has sampled by a Bengali person. Soft, fluffy balls of cottage cheese with a well-seasoned spinach lining inside are a work of culinary art. Studded with nuts and served in a way that it remains hot, this dish is best eaten with another Bengali staple: fragrant gobindobhog rice with butter and gondhoraj lebu (a local lemon). Together, these two make a sublime combination. 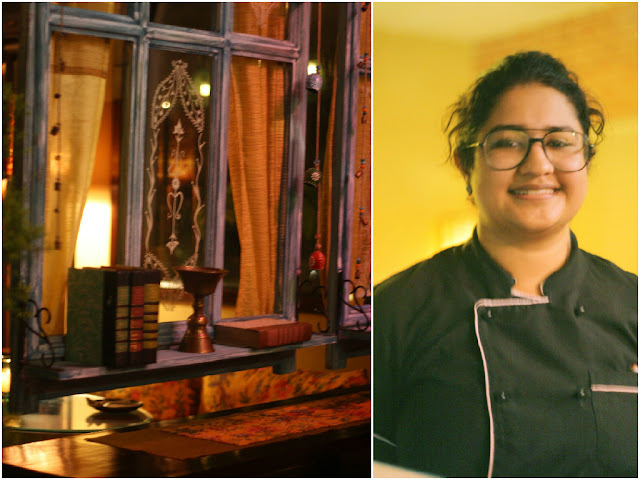 Chef Megha Kohli is ever smiling and suitably educates guests about Armenian food. Chef Saby’s sister, Sarbani, has helped him give the right Bengali touches to the food. 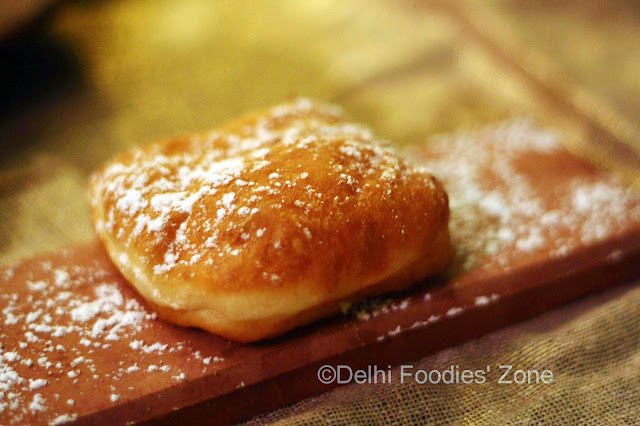 The Ponchiki or square doughnuts filled with nutella are addictive. I recommend you sample them with some good coffee or the pomegranate tea that Lavaash by Saby has on offer. An old fashioned chocolate mousse is just the right way to end your meal. Skeeter couldn’t keep her hands off this one. Sinful and indulgent! The restaurant opens its doors to public next week. While Skeeter struggles to break this health posts series link, one after the other, what is certain is that ‘healthy’ is here to stay. No matter how much Skeeter yearns for her share of junk edibles, there are constant, everyday efforts to eat and stay healthy. These efforts maybe of miniscule proportions, but they are there. Health food deliveries are on a roll. I’d rather call them clean food deliveries. Raw Leaf is one of the many such deliveries in/around Delhi. What makes them preferable is that Skeeter has picked their mixed green bags (read Romaine, Rocket, Iceberg Lettuce and so on) from supermarket shelves in the past. These bags, though tad expensive, are crisp and fresh, and never wilted. They are also ready-to-use i.e. the leaves are separated and pre-washed for your convenience. 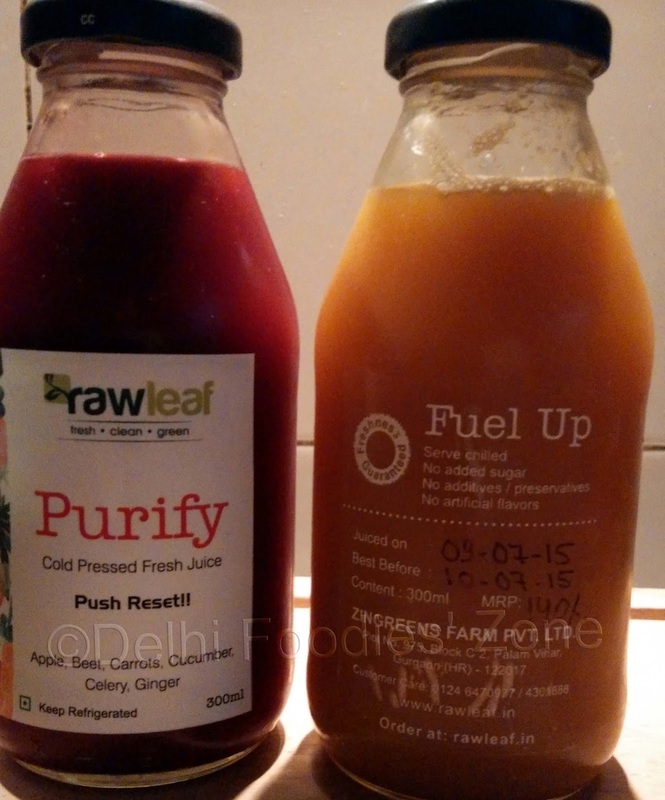 Raw Leaf have their own farm (using best practices) to source these. However, they have not gone organic, yet. 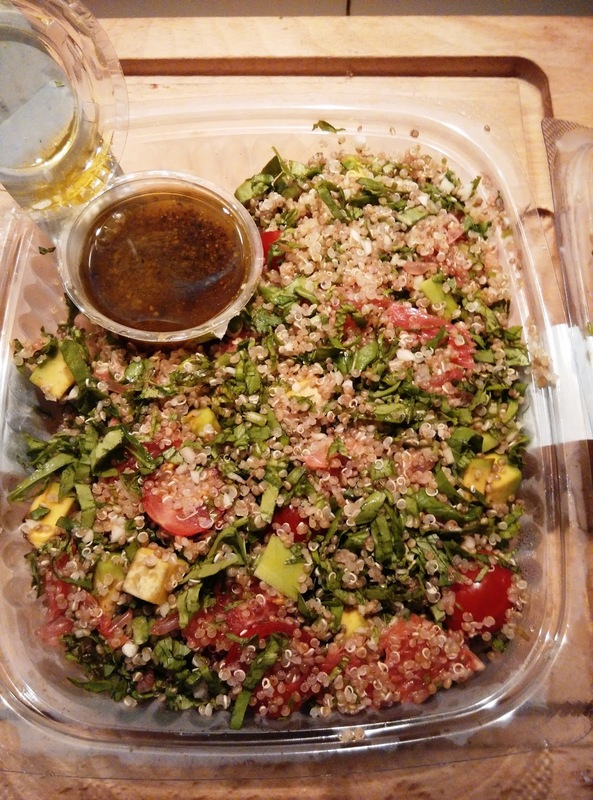 And now Raw Leaf has launched a salad & juice delivery service, which seems like the logical next step. They sent some over to sample. Here’s what Skeeter thought about them. The first one was the Quinoa salad with grapefruit, avocado and arugula. It came with a Vinaigrette dressing. Though Skeeter loves Arugula, this one needs a little tweaking with less of Arugula leaves to make it wee bit less bitter. Otherwise, a very fresh and pep-me-up salad, this. The other, an Assorted grilled vegetables salad, came with a sublime dressing made up of simple ingredients: Honey, Olive oil, lemon juice. Assorted peppers, potatoes, and even eggplants made their way into this bowl and a generous grating of cheese was used to finish it. Now, this could be my go-to meal twice a week. Grilled to perfection and tasted fab as well! Fuel up, a bright orange, neaty bottled one, was made up with Pear, apple, pineapple and turmeric, is quite a refreshing one. Though I could not taste the pear, the apple outshone with the tanginess of pineapple showing up at times and a mellow turmeric somewhere towards the end. Overall, I loved how it tasted. The Purify juice, a deep maroon one, was made up with Beets, carrots, tomatoes, coriander, mint, ginger, amla and lemon. Skeeter loves her beets and can vouch for Purify as the most deelish of all cold pressed juices in town. 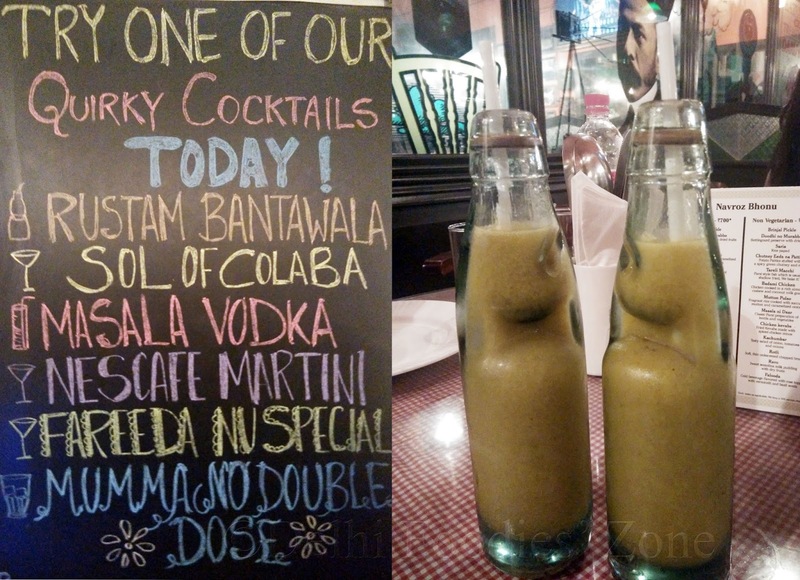 The juices are available at Rs 140 per bottle. This hasn’t been intentional but the last few posts have been around eating healthy and snacking healthy. This one’s no different. Top chefs are waking up to vegetables around them and are cooking up a storm with the most exotic produce. This is #trending in the world of gastronomy. Suddenly vegetarianism is cool and Skeeter can proudly say she was always cool! Guppy by ai has been revisited one too often: when Skeeter doesn’t want to cook, when she wants to eat out but eat light and healthy or simply put, when she simply wants to eat at Guppy by ai. 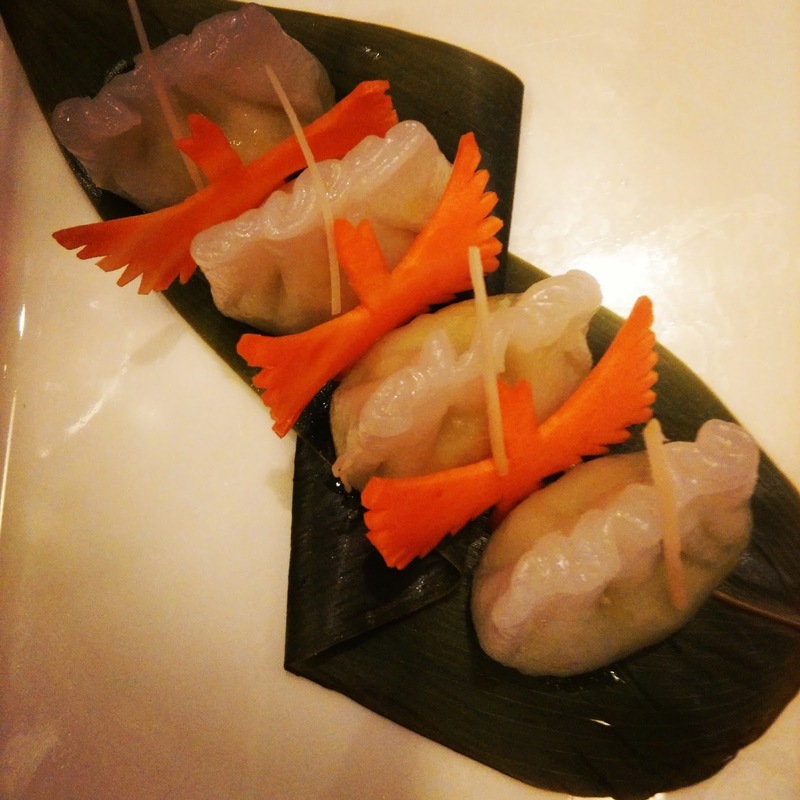 Guppy by ai also has this amazing team led by chef Vikram Khatri and supported by chef Saurabh, that reinvents its menu time and again, presenting food that stuns the senses. Their use of vegetables, both local and exotic, mesemerises. Take the Sakura wood smoked pumpkin soup (Rs 250), which is hearty with a slight smoked flavour and comes topped with healthy, crispy pumpkin seeds that make all the difference. You get all benefit that this humble vegetable has to offer at a go: the fruit to the seed. I tried the Water chestnut and Tofu Motoyaki (Rs 400) with a little reluctance. What I got was the Japanese silken tofu and water chestnut baked in a rich sauce. I could nibble on it all day long. Umami in a bowl. The Seaweed and Mesclun salad (Rs 450) was up next. Young mustard, seaweed and fresh baby greens are served in tangy plum vinaigrette. Apart from the spectacular presentation and the sublime taste, the ingredients were a showstopper. Move on Nori, I got Tosaka on my plate. Yes! The wobbly tosaka seaweed (green and pink) tossed with other greens and a tangy plum vinaigrette made the summer outside so much bearable! Salad was followed by some deep fried indulgence as Tempura was taken to another level with whole ladyfingers, nori and even coconut peeping out from the crunchy batter! Oh and what is a visit to Guppy if you don’t try their red rice Sushi? But what really had my heart was the Hiyashi Tanuki Cha Soba (Rs 750), the Chilled green tea soba served with scallions, chilled soy flavoured broth and bonito. The green tea infused soba noodles are served on a bamboo sheet resting on ice in an earthen pot. 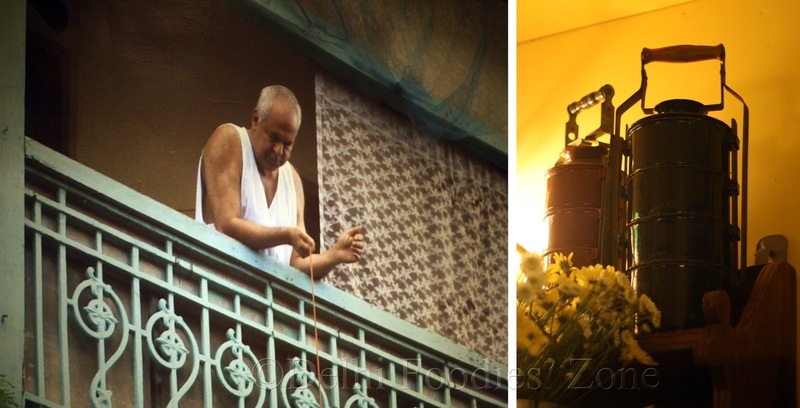 Some places also serve it on Zaru, which is a bamboo tray that looks like a traditional sieve. The scallions, chilled soy flavoured broth and bonito are served alongside. You take the noodles in an empty bowl provided to you, add the rest of the accompaniments to taste, hold the bowl up and enjoy! If you like simple flavours Hiyashi Tanuki Cha Soba comes highly recommended. 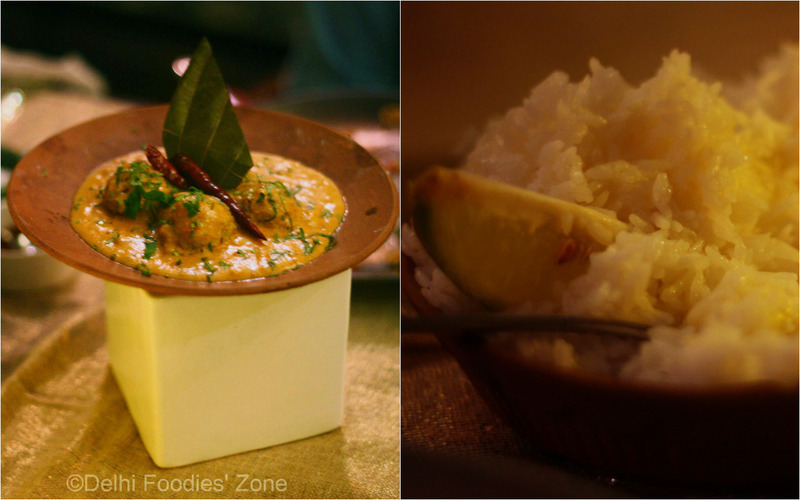 If not, you could try the very flavourful Tofu and exotic vegetable curry rice (Rs 900). The Matcha pudding ended my meal. I’ve had Matcha icecreams and Matcha is undoubtedly my favourite Japanese green tea, the other being Sencha. 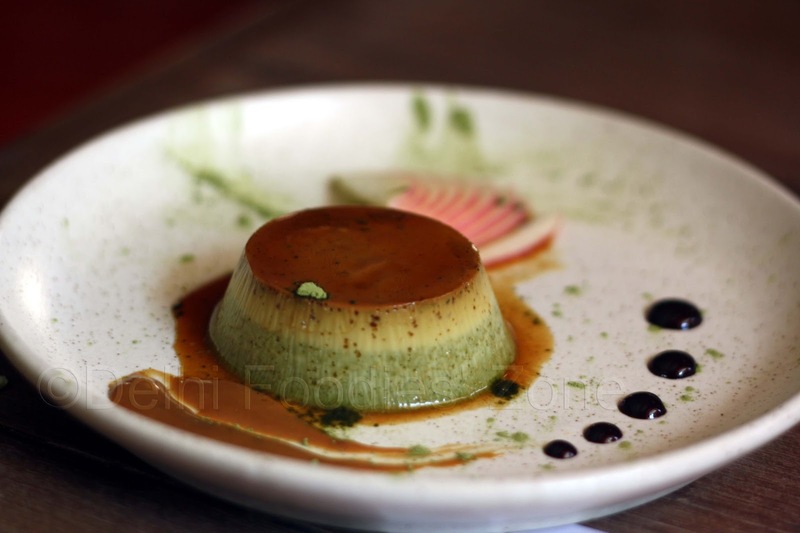 This pudding is made from Matcha tea powder and served with house made toffee sauce (Rs 350). Lots of Matcha powder is dusted over the pudding to make you go mmmmm… Trust Guppy by ai to come up with something as delicate as this. No other flavour overpowered the star ingredient, Matcha. Yet I could taste and relish all other elements this excellent pudding was made of. When health knocks at your doorstep, you jump at it! I’ve been nibbling on these Kale chips by Green Snack Co, off and on, at home, at work and have even packed some in my bag for those long road trips I undertake. 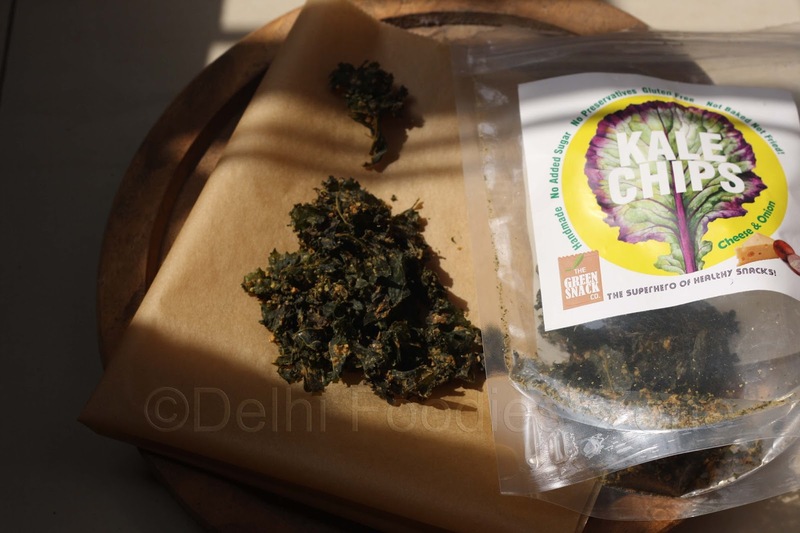 Kale is a superfood of the West making inroads to India. It is a powerhouse of beta carotene, vitamin K, and vitamin C, and is rich in calcium too. By far Skeeter’s most favourite Kale dish has been a Phad Pak Kiew or Stir fried Kale with morning glory, pokchoy, soya bean sauce, garlic & pepper, that I enjoyed at Neung Roi. Besides its nutrition quotient, the curly-leaved vegetable that grows green and purple leaves has ornamental value for the gardens too. Green Snack Co have taken the best selling flavours from the world of crisps and are offering three most loved and well received flavours: Cheese & Onion, Sea Salt & Vinegar, Thai Sweet Chilli. Sea Salt & Vinegar is Skeeter’s personal favourite flavour of the three. The goodness of apple cider vinegar is combined with sea salt and a hint of cayenne pepper. The apple cider lends a slightly sour/fruity tang to the Kale chips that is accentuated by sea salt and further enhanced by the subtle kick from cayenne pepper that leaves one longing for more. Cheese & Onion comes second for Skeeter, and they’d surely be well received by most. They are flavoured with parmesan, along with a novel addition: cashews, garlic and onion. This well-balanced flavour is presented well by Green Snack Co and cannot go wrong ever. Thai Sweet Chilli is a zingy, pick-me-up flavour and is coated with with bell peppers and Thai chillies for a punch. Add to that cashews and pineapple for sweetness and you have a very fine product. Kale chips by Green Snack Co are made using the dehydration technique. They have the additional benefits of having no added sugar, preservatives or additives. You can read more about the health benefits here..
All bags come for Rs 200, which is somewhat steep but well worth the money. The pack is simple and resealable, so you can begin munching from where you left. You can buy Kale chips online here or pick them up from your nearest store. Healthy ‘eating out’ may sound oxymoronish, but as they say there is no harm trying. Hence, I wander. Skeeter ended up at Anna Perenna Pizza, a gourmet, handmade pizza place, trying to do things differently. Anna Perenna is the Roman Goddess of long life & renewal, health & plenty. This delivery/takeaway service does top notch pizzas, making dough from the scratch and yes they are wholewheat (some, even multigrain) with no processed cheese whatsoever! While the last line may be hard to digest, the pizzas are rather easy on the stomach. The Mint cooler lemonade served in a glass jar with the right amount of sweet and tang will quench your thirst and make you forget the sweltering heat outside for a while. The olive-studded bread and hummous were a great starter. The hummous was creamy and full of flavour and the olive-studded bread was wholewheat. What else could one ask for? I know it’s gonna be on my dinner table again and again, and more! From the pizza selection, Skeeter tried the ‘Roast zucchini, tomato and basil pizza’, that has a light and crisp base. The base sauce is made in-house and was finger-licking good. The pizza was overall perfect and I did not realise the absence of cheese. I would’ve loved a crispier base and if the zucchini was char-grilled it would make for a better sight on the plate, but then that’s just being greedy and asking for more. This pizza makes for a perfect treat for weight watchers, as is. The ‘Jalapeno, pineapple and rocket pizza was rather inspirational and it’d be my go-to pizza in the days to come. If there is poetry on a plate, this is it, this is it, this is it! A crisp base, smeared with tomato sauce, topped with generous helpings of pineapple slices and rocket leaves. You get your pizza fix, you eat your dose of the favourite fruit and you munch some salad, all at a go. Oh did I mention, they have a low cheese and no-cheese option as well. Just ask them and they oblige. They claim to procure as many organic ingredients as possible. Plus ten for that. Vegan pizzas, anyone? Almost everything on the menu can be made vegan if it already isn’t. They even cater to the needs of those suffering from celiac or gluten allergies. The Pizza cannot get hotter than this!